Join us for a festive evening featuring exceptional musical selections from PLHS Instrumental Music Wind Ensemble, Concert Band, and Symphony Orchestra. Click here to view/print our invitation! The Point Loma Instrumental Music program continues a storied tradition of providing a foundation for young musicians through camaraderie, community service and exceptional standards for musical achievement. Help us celebrate our success! 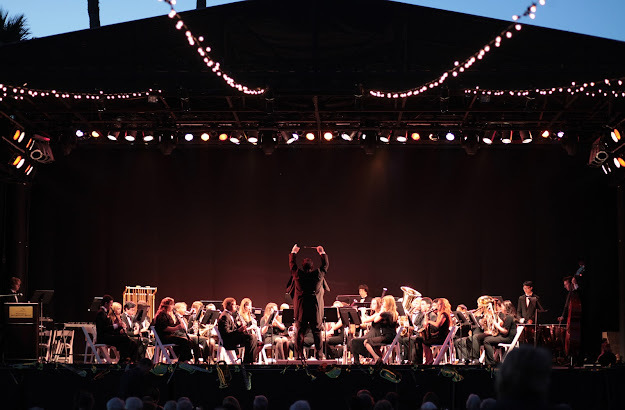 Support the 12th Annual Rhapsody on the Point at the stunning venue, Humphreys Concerts by the Bay. Rhapsody on the Point is an opportunity for the community to enjoy classical music in an intimate and elegant setting — and share our pride in the astonishing talent and energy of our Point Loma High School musicians. Our program flourishes due to the dedication of our talented students and staff and our collaboration with Dana and Correia Middle Schools. We are faced with the happy challenge of a fast-growing program. “It’s a wonderful problem to have, but there are kids right now in band without an instrument to play,” said PLHS Instrumental Music Director Carissa Mattison. Through your support, the PLHS Instrumental Music Department can continue its legacy of excellence in music, academic performance and school spirit with a program designed to inspire and develop promising young musicians. Help us grow! Click here to donate online! The Point Loma High School Instrumental Music Program is dedicated to excellence in music, academic performance and school spirit. More than 100 students participate in Vanguard (Marching Band), Wind Ensemble, Concert Band, Jazz Band, Orchestra, Color Guard, and AP Music Theory. Music groups represent Point Loma High School in our community and throughout Southern California.